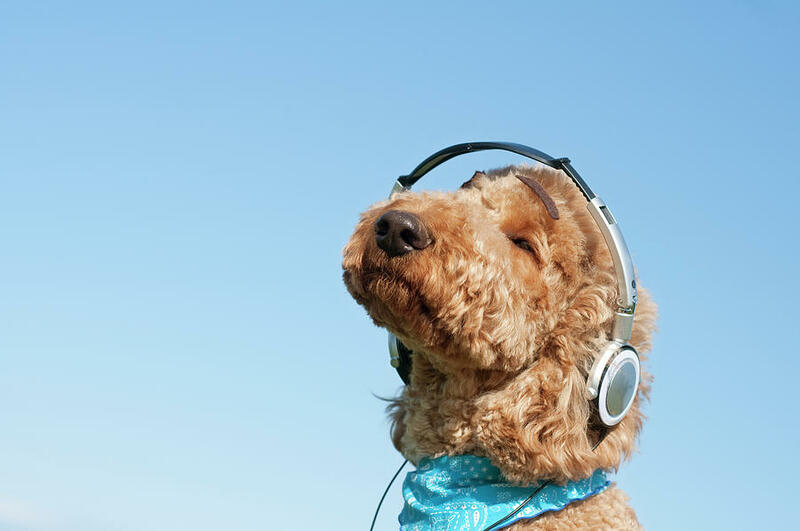 Turning on your dog’s favorite playlist when you leave can help soothe them while you’re away. 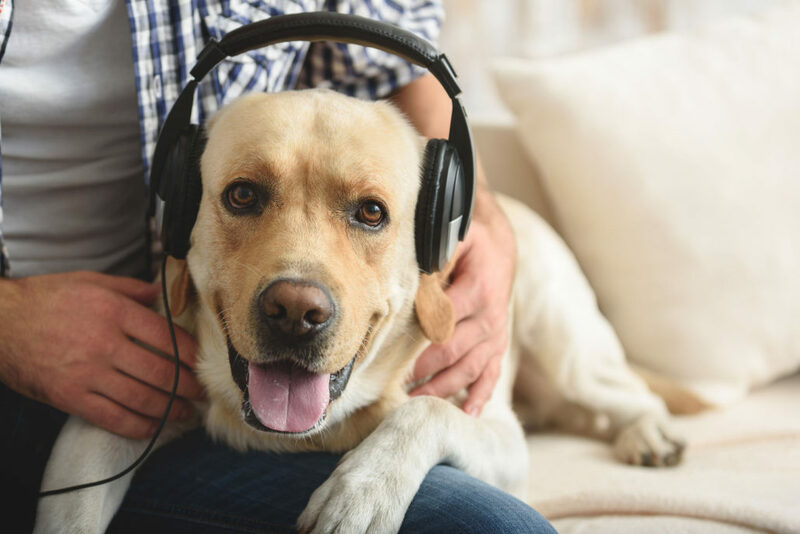 According to animal behaviorist, Deborah Wells, dogs find specific types of music to be relaxing, and even have their own preferences in what they like to listen to. Leaving on your dog’s favorite playlist when you go to work can prevent unwanted behaviors such as chewing and barking. 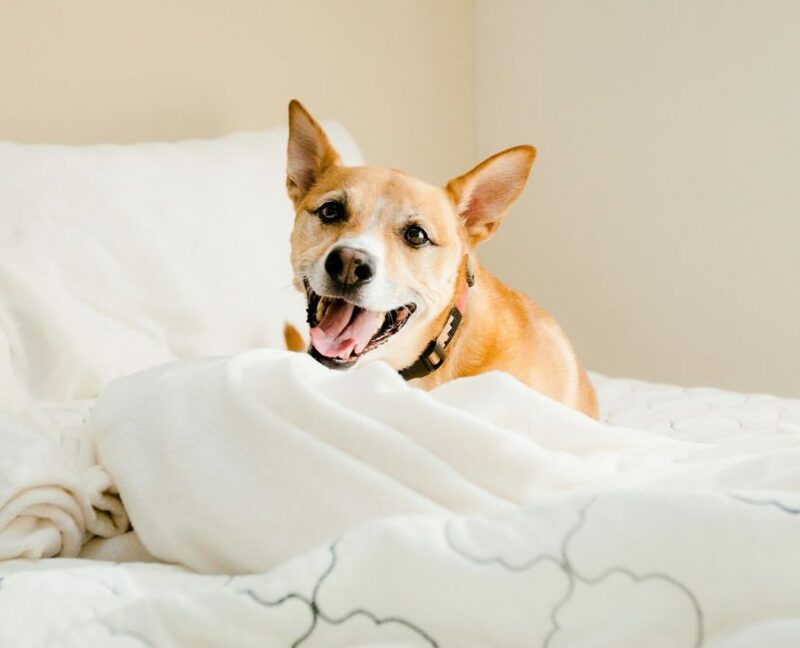 It can also improve your dog’s health and wellness by promoting sleep. 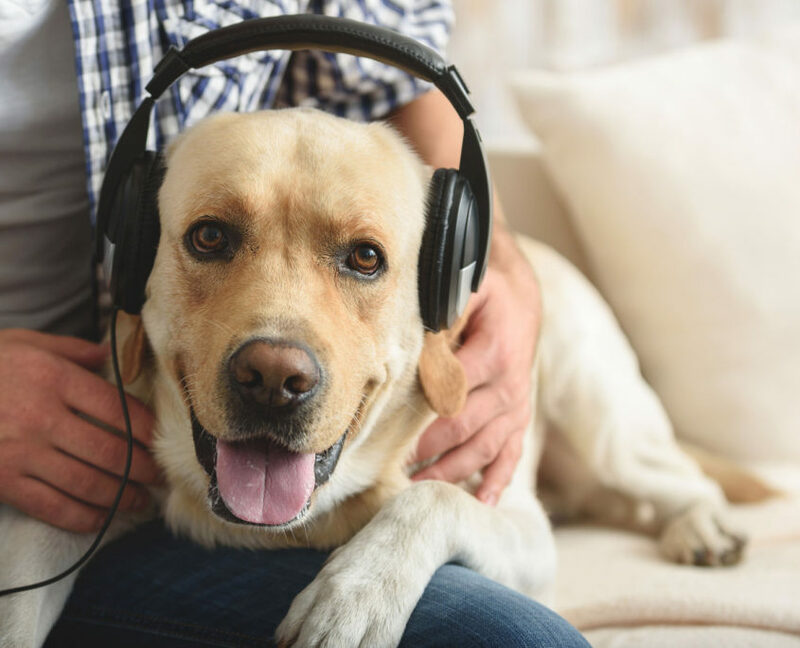 You can use your dog’s playlist during car rides if they have travel anxiety, when you leave for work if they have separation anxiety, during thunderstorms if they are afraid of lightning, or in any potentially stressful situation for your dog. Dogs all have different tastes, like people. Different songs with different frequencies, pitches, and rhythms have different effects on dogs. Dr. Sands, animal behaviorist, has done studies to find which variables in music (like beats per minute and frequency) affect dogs the most, and in what way. He found that the more BPM’s a song has, the more energizing it is for your dog, and the less BPM’s, the more calming it is. The size of your dog may also have an effect on their taste in music. Smaller dogs may be partial to melodies with higher frequencies, and larger dogs may respond more positively to tunes with lower frequencies. This has to do with the kind of sounds they are used to making and hearing, as smaller dogs make higher pitched sounds and larger dogs make lower pitched ones. Try listening to your music with your dog in the room, and watch their reaction. If your dog can sleep through or falls asleep to certain songs, they would be a good choice for your doggy playlist. If your dog paces, barks, or acts agitated during certain tunes, then leave them out. Many people don’t have the complete works of Chopin or Liszt on their ipod. If you want to make a playlist for your pooch but don’t want to download additional music to your listening device, don’t worry. Modern music can have a positive effect on your dog as well, as long as it has certain characteristics that your dog enjoys. However, different songs vary for each artist. In general though, I’ve found that these artists have many songs with calming melodies and slow tempos. Music such as heavy metal can be very unnerving to your dog. This kind of music has extreme pitches and frequencies that can be harmful to your dog’s hearing. 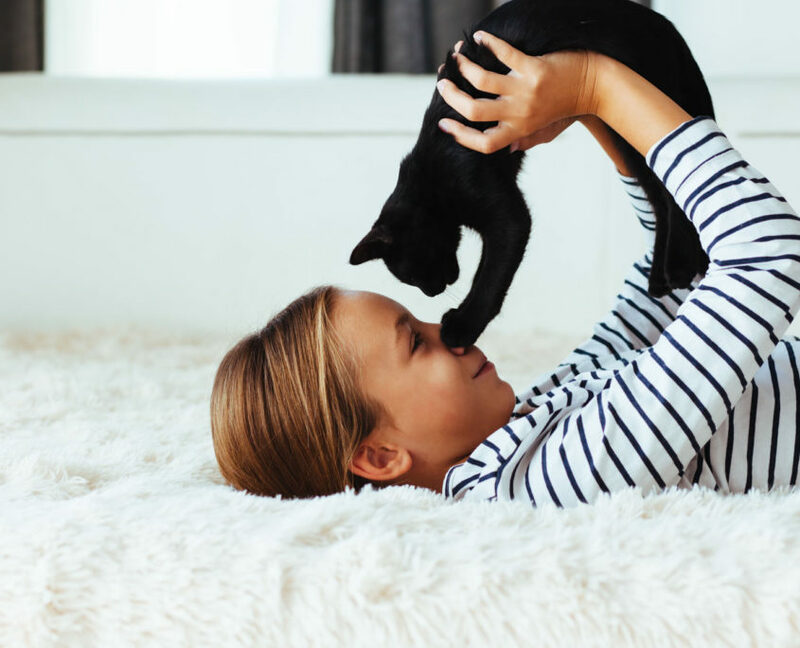 It can also aggravate your dog and incite barking, chewing, or other harmful behaviors. There are plenty of albums out there that have been specifically recorded for dogs. 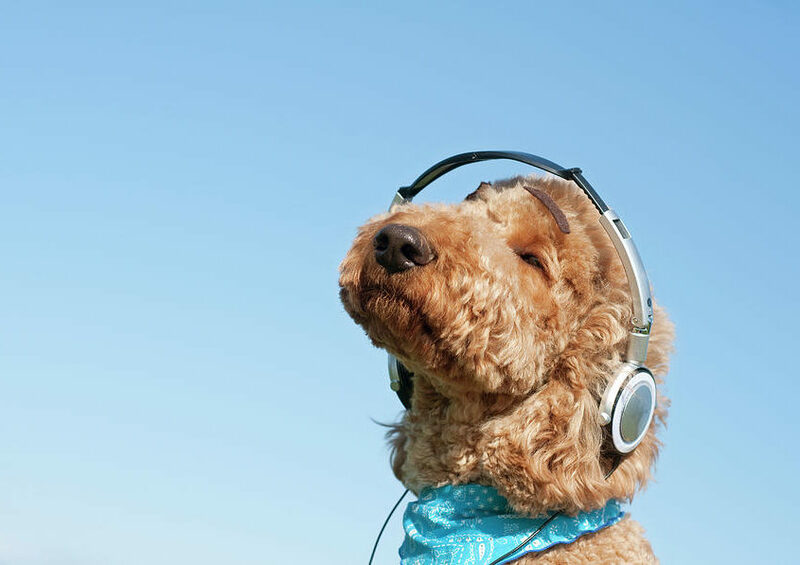 These may be the best option for you and your dog, however, it is likely that you can create an enjoyable, calming playlist for your dog with songs that you already have and listen to. After all, you want to enjoy the songs on your dog’s playlist too! About The Author: Eliza Jessee lives in apartment 3 with her dog, Johann Sebastian, and her husband, Chris. She enjoys hiking, knitting, blogging, and playing saxophone. Visit her blog, The Pup in Apartment 3, at thepupinapartment3.com.